What’s the difference between using aluminum and iron for your fence? 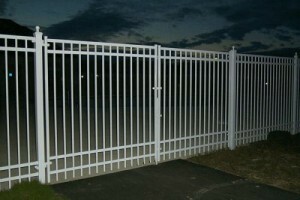 Aluminum and iron are two of the most popular fencing materials on the market. They are both well-loved for their unparalleled durability, beauty, flexibility, and long-lasting natures. While aluminum fences and iron fences seem to be similar, there are many differences between the two. Aluminum fences are basically maintenance free, so they are perfect for people who don’t want to spend a lot of time keeping their fences in great condition. Instead of regularly inspecting your fence, you’ll just need to hose it off a couple times of year when it gets dirty. Aluminum fencing is also incredibly durable, so it’s a great fit for yards where the fencing gets a lot of use, like people with young kids or pets. 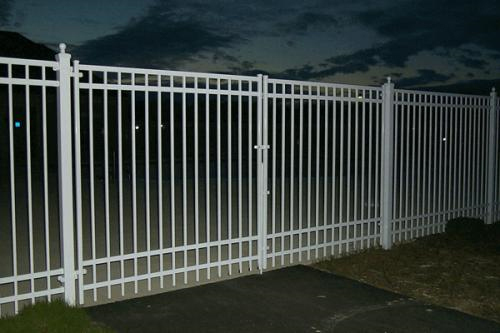 Aluminum fencing is available in several different colors to complement your landscaping or exterior design. While aluminum fencing cannot rust, you will need to pay attention to any potential denting problems or wear and tear. An iron fence is the perfect fence for those who want higher security, strong durability, and classic elegance. Wrought iron fencing is great for commercial and residential properties since it can be built taller than many other varieties and easily have security features added on. Wrought iron fences are timeless and complement many different home styles including old world and traditional models. Wrought iron fence is prone to rust, so you will need to take care to maintain it and pay attention to any damaged spots. A quality installation from Hercules Fence will ensure that your fence lasts a long time, regardless of your fencing material choice. This entry was posted on Wednesday, March 22nd, 2017 at 8:42 pm. Both comments and pings are currently closed.